RETURN TO LIFE is an "anthology" film—five segments depicting the adjustments and hardships faced by the French after World War II. Clouzot's segment, the rarest of all his work behind the camera, is the one most directly associated with the war: Louis Jouvet plays a cripple living in a hospital for war victims who returns to his room one evening to find an escaped German prisoner hiding in it. A shattering series of events ensue. (1949) 32min. Segment directed by Henri-Georges Clouzot. 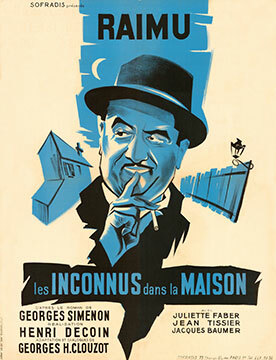 Segment written by Henri-Georges Clouzot and Jean Ferry. Photographed by Nicolas Hayer. Edited by Monique Kirsanoff. Music by Paul Misraki. With Louis Jouvet, Jo Dest. For nearly twenty years since his wife left him, the once brilliant lawyer Loursat has slumped into a life of despondency and drunkenness. He lives in a vast empty house with his teenage daughter, Nicole, with whom he rarely interacts. One fateful day he discovers a dead body in his house. When his daughter and her group of rebellious young friends are charged with the murder, Loursat returns to the courtroom to defend them. (1942) 95min. Directed by Henri Decoin. 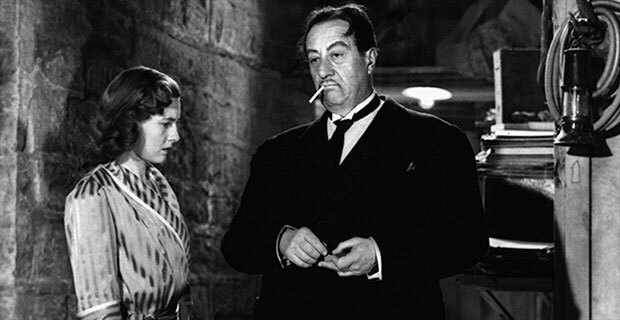 Adaptation and dialogue by Henri-Georges Clouzot from the novel by Georges Simenon. Photographed by Jules Kruger. Edited by Marguerite Beaugé. Music by Roland Manuel. With Raimu, Juliette Faber, Gabrielle Fontan, Hélèna Manson, Tania Fédor, Marguerite Ducouret, Jean Tissier, Jacques Baumer, Noël Roquevert, André Reybaz, Lucien Coëdel, Marcel Mouloudji, Martine Carol. The Countess Anna Fédotovna, wife of the Russian ambassador in Paris during the reign of Louis XVI, has the mania of the game. She loses every night huge amounts playing cards. While she is on the verge of ruin, the mysterious Count of Saint-Germain confides to her the secret of an infallible card progression that she will have the right to use only once: subsequent usages will confer death. Can the Countess keep the secret to herself? (1965) 92min. Directed by Leonard Keigel. 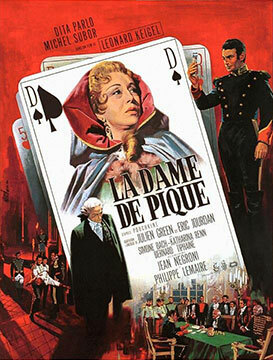 Screenplay and dialogue by Julien Green and Eric Jourdan from the short story Pikovaya dama by Alexander Pushkin. Photographed by Alain Levent. Edited by Andrée Werlin. Music by Franz Schubert. With Dita Parlo, Michel Subor, Simone Bach, André Charpak, Jean Négroni, Philippe Lemaire, Katharina Renn, Franz Hubler, Bernard Tiphaine, Jacqueline Monsigny.